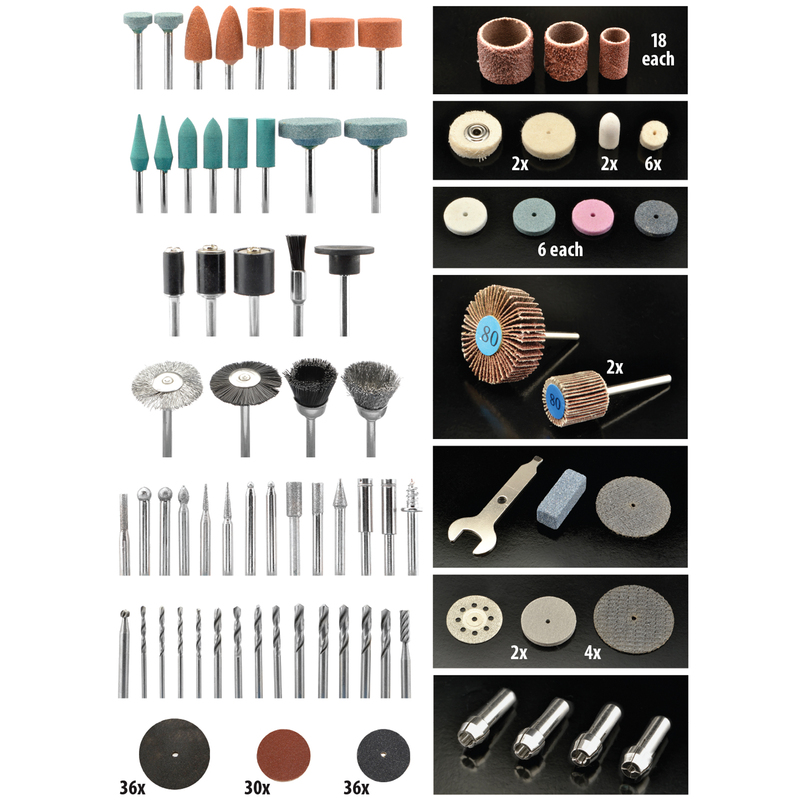 You'll be impressed with this most-complete selection of accessories that fit any rotary tool with a 1/8 inch collet or chuck. Includes sanders, grinders, drill bits, buffers, polishing cream, diamond bits, brushes and cut-off wheels . . . 265 pieces in all . . . everything you need to put your Dremel or other rotary tool to good use.